With Karen Burke on Thursday, March 21st at 7:00 PM. 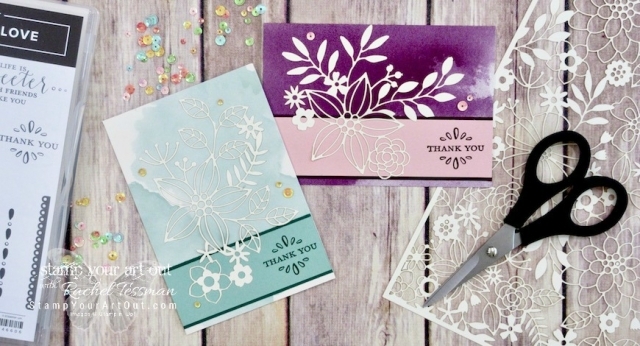 In this class you will create four all-occasion cards using rubber stamps and coordinating accessories, featuring delicate laser cut overlays that let colors peek through. All materials and instruction will be provided. There is a $5.00 materials fee payable the night of the class. Please register online in advance.